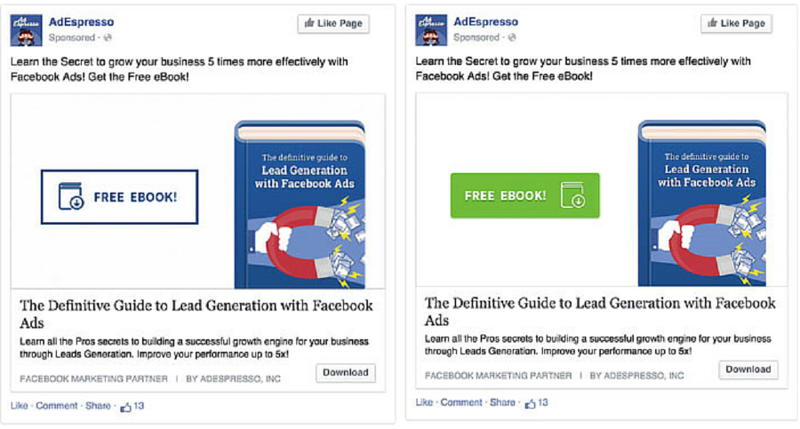 This will help you to get the right group of Facebook users to view your ads and optimize your sales. To create and publish a standard Facebook advertisement is easy but to get an excellent conversion rate from it is not as simple as you think. In the world of Facebook marketing, A/B test or what we call a split test is an important marketing strategy that helps you to identify which ads that you have created has really help with your businesses. In fact, there are many elements on your ads that are available for you to run a split test such as headline, post text, image, landing page, and even the simple call-to-action button. A split test is a continuous process and you need to keep on running it with different variables until you are fully satisfied with the ad that you have created. Overconfidence is never a good trait when it comes to Facebook advertising. And this is one of the biggest reasons why brands fail in their Facebook advertising efforts as they do not run any split test. More often than not,they published the ad and labeled it as a failure if it doesn’t help in increasing conversion rate. They never take the initiative to figure out what seems to be the root of the problem. By running a simple split test, you are able to understand that “a little change makes a big difference.” Split test is like an experiment, one that even President Obama used for his event. 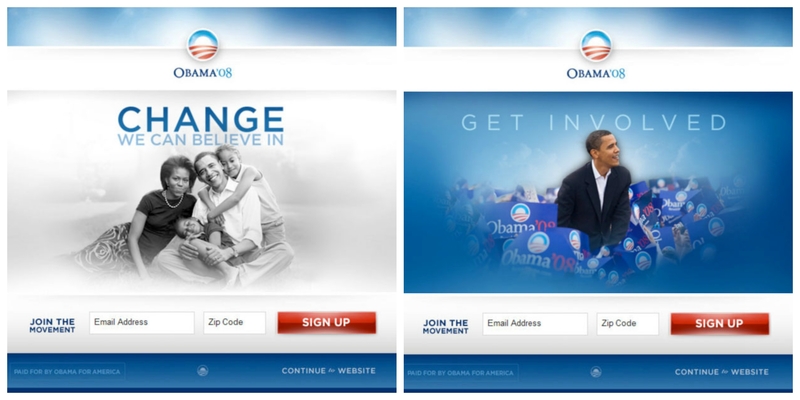 He used 2 different variations of landing page for his donation campaigns with a different theme and image. From the results they have gotten, variation 1 is 500% better than variation 2. So that means most of the Facebook Users like the design of variation 1 as compared to variation 2. Let’s pause and think about it for a minute, if split testing doesn’t work, why has such a famous person used it for his important campaigning event? Other than that, let’s take a look at a real life example so that you can have a better understanding of the concept on how a split test helps to identify which element is useful to your ads. Heyo ran a split test for one of their ads by publishing a Facebook ad with a call-to-action button and the other one without it. This split test has proven that adding a call-to-action button in Facebook ads helps to improve the overall conversion rates and decrease the cost per conversion. The split test result above shows that the Facebook ad with call-to-action is doing much better than the Facebook ad without it. In this case, inserting the call-to-action button in the ad as a result from the split test shows that an ad with a call-to-action button helps in increasing the number of website clicks. 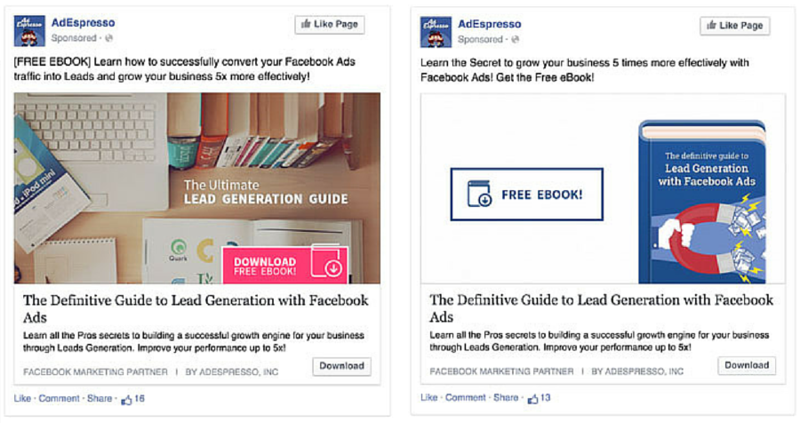 Other than having a call-to-action button, it is important for us to choose the right button for our Facebook ads. 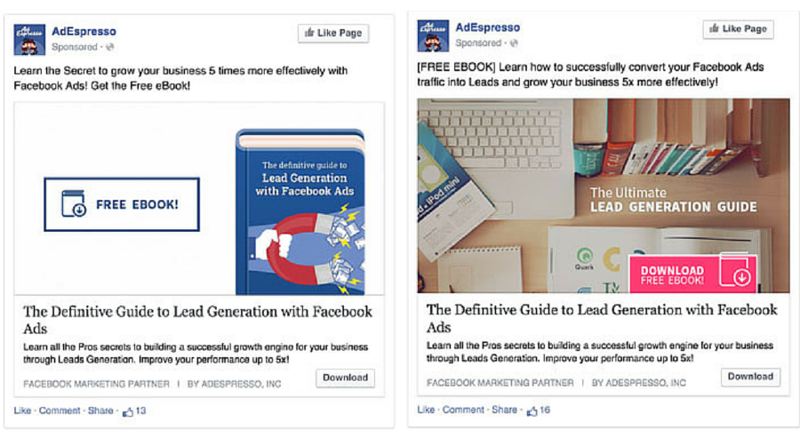 Based on a case done by AdEspresso, one of their most notable findings was that the ‘Learning More’ and ‘Sign Up’ call-to-action button outperformed each other in different situations. They found out that the ‘Sign Up’ button actually returned a higher conversion rate as compared with the ‘Learn More’ button. While the ‘Learn More’ button managed to attract a higher click-through rate as compared to the ‘Sign Up’ button. So from the split test result above, we can clearly understand that just having a call-to-action button is never enough. We also need to choose the right call-to-action button in order to get a better conversion rate. The ad with an illustrated image got 237 clicks, 28 sales, and a cost per sale of $5.35 while the ad with a real life image got 187 clicks, 16 sales and $9.37 for the cost per sale. That means the ad with an illustration has performed better than the ad with a real life image. Running a split test on Facebook Ads has not only helped you on gaining website clicks but it has also helped you by saving your money. The split test above clearly stated the benefits brought to the business. Ad 1 performed much better than ad 2. Let’s put this in perspective, if you had published a campaign with only Ad 2 and let it run on a larger scale with all the budget you have, you would have given up the opportunity to earn more profit using Ad 1. Besides that, the amount of cost per click will definitely be higher with the low amount of conversion rate. So that’s how split test has allowed you to save money. After reading the content above, you now know that business needs split test to select the right elements for your Facebook ads to increase conversion rate. But just knowing how important a Facebook advertisement split test is will never be enough as you need to know the ways of running a split test on your Facebook ads. They have created 2 different designs: A design with a real life image and a design with an illustration. The ad with an illustration got 143% more conversion than the other ad. They created another design with a different color and design for the ‘FREE EBOOK!’ button in the image. They continued with the split test and the ad with green button got a 13% higher conversion rate than the ad with a white button. That’s the way AdEspresso ran they split test. So overall, we know that the split test process is not as complicated as we think. You just need to come up with 2 or more different designs of facebook ads and distribute them to 2 groups with the same amount of audiences. Then, you have to track the result such as conversion rate and cost per sale. After obtaining the result, you should however not stop but instead keep on testing with other different elements till you find the perfect combination of ads’ design that your target audiences like. However, there is a thing that you need to remember and that is the lifespan of an advertisement’s design is pretty short. At some point, people will get bored with your ads and you’ll have saturated the audiences you were targeting. But always keep testing because when the moment comes, you’ll be ready to scale the budget on a brand new campaign.